As an aspiring model, you need an amazing modeling portfolio to kickstart your career. It’s your chance to make a great first impression on agencies and clients. It is important for you to put in the effort to get all aspects of your modeling portfolio right. It’s not only about shooting your portfolio, there’s a lot more planning that goes into creating a great portfolio. Here’s a step-by-step guide for models that explains how to create a killer modeling portfolio for yourself. 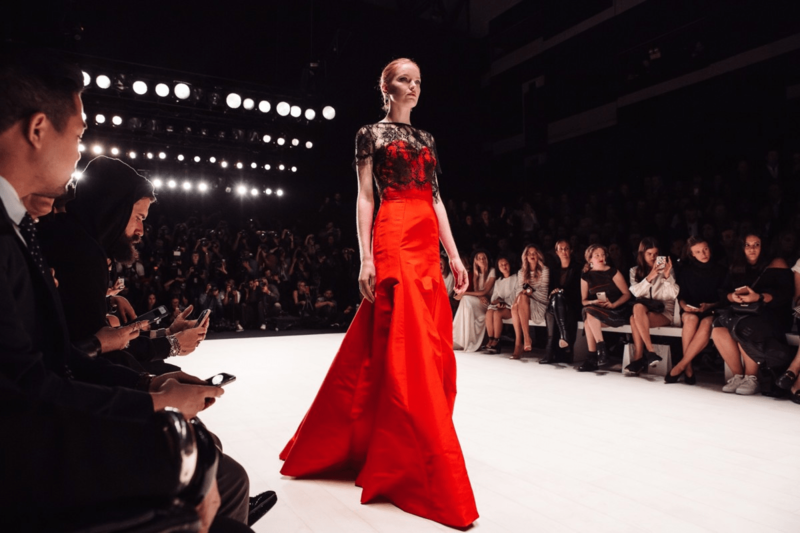 While pursuing your passion to become a successful model, you also need to be realistic and aware of the stereotypes that are a part of the modeling industry. In most cases, your body type would define the kind of assignments you get, as most clients have a pre-conceived notion of what they feel fits their brief. For example, its harder for shorter or petite models to break into fashion modeling. While these stereotypes are constantly being broken and you certainly can break them on your way, it helps to be realistic and honest about your strong points. This would increase your chances of achieving success and reduce setbacks and rejections. 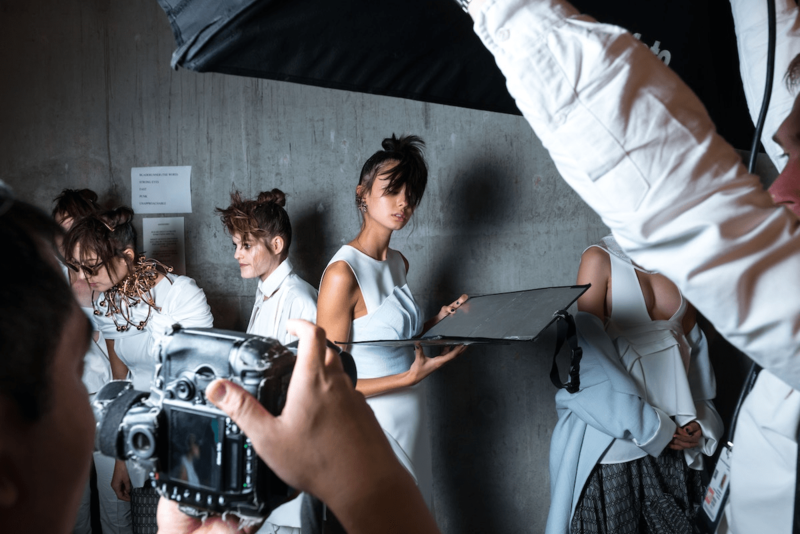 Making an informed decision about the type of modeling you want to pursue would bring clarity and focus on how you want to shape your modeling portfolio. For example, as a freelance model you would need a lot of variations in your shots, but as a high fashion model, you would need to focus on high fashion images. Good news is that there are a lot of choices that you can pick from on what kind kind of model you want to be. 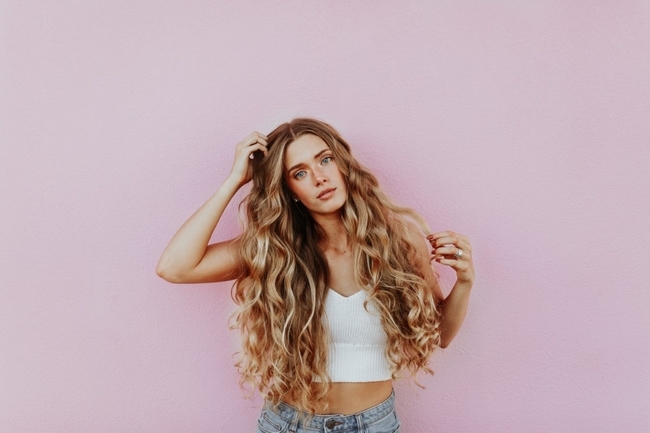 If you have signed up with a modeling agency, in most cases, they would offer you to get your shoot organized for you with a pre-approved photographer and charge you for it. Chances are that the photographer that they would use would probably not be the best professional photographer that you would want to trust with your model portfolio. Fact is, you should ideally not even be contacting modeling agencies before you have a properly done portfolio in place. How about choosing one of your friends to shoot your portfolio? Again, the answer is NO. Avoid going with the first, or the most convenient option that presents itself. Also, if you are choosing your friend just because you are comfortable getting shot by a friend, think twice about becoming a model. As a professional model, you would need the confidence to take on assignments and work with new people every day. It’s time to start honing those skills. Do your own research, ask for referrals and take your time finding the right photographer for your model portfolio shoot. Have a look at their photography portfolio website to see their style of work. Choose a photographer whose area of expertise and style matches your vision and style. For example, if you want to become a freelance model, then a commercial advertising photographer may be your best bet, as that’s the kind of work you would be doing the most. It doesn’t matter whether you get your photoshoot done by multiple photographers – in fact, it can save you money and time by choosing the one right photographer that can deliver on what your vision is. And finally, do look into the finer details before hiring the photographer. For example, what’s included in the package that you are being offered, how many photos would you get, rates and any extras, will you get photo prints and/or all digital images. It’s important to know beforehand exactly the kind of images you want out of your model portfolio shoot. Lay down the specifics of photos that you need for a well-balanced portfolio, for the types of modeling you are best suited for. Make sure that you get great portraits, close-ups, and full-body shots as well. Plan your wardrobe changes to show your versatility (swimsuits for great body-shots and an evening dress for those advertising clients). Convey your brief clearly to the photographer and discuss things in detail so that both of you are on the same page on what needs to be achieved from the photo shoot. In your discussions with your photographers, decide on the poses, the wardrobe items, the locations, the looks, themes and concepts for the photo shoot. A clear understanding goes a long way on achieving the results that you want from the photo shoot and insures against any mistakes or nasty surprises. For tips and inspiration on planning your images, have a look at some great examples of stunning online model portfolio websites. Although not a must, but its recommended to get a professional hair and make-up artist for your portfolio shoot. A professional can add a lot of value to your portfolio images and make you look even better with the right styling of your hair and make-up. Remember, your model portfolio is your big step forward and its best to get it right the first time. Your photographer should be able to recommend a good make-up artist (any good photographer should be able to make great recommendations on this). Again, definitely have a look at the make-up artist’s portfolio website to get a sense of their style. Always do have a backup plan (carry your own makeup or enlist the help of a friend) in case your make-up artist fails to show up. Make sure that the photographer and you have scoured the locations beforehand. 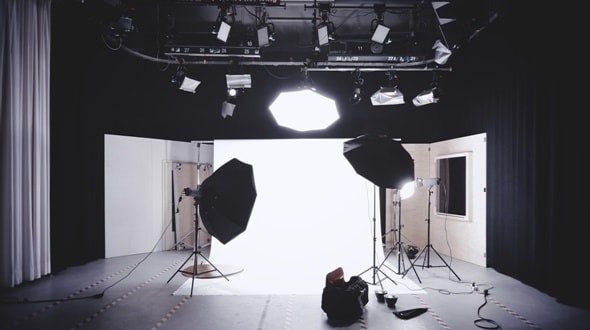 If you are shooting indoors only, then make sure that the studio is well-equipped. You will be depending on your photographer for this, so do point it out in your discussions. Also, make sure that the photographer has allotted you enough time to accomplish everything and not rush through things. Get a good night’s sleep before the shoot day and arrive a little early on the location. Make sure that you are calm and not stressed out. Remember, even a tiny hint of nerves shows through in the final images. After your photo shoot, its time to get down to the process of choosing the right images for your modeling portfolio. Balance your choices and focus on getting both versatility and quality. Don’t end up choosing multiple images in the same pose or wardrobe. Make sure you select head-shots with and without you smiling, full-length shots and 3/4 length shots. Your portfolio should have between 10-20 images – make sure you pick absolutely the best of the best images that cover all your facets. Do discuss your selection with your photographers and take her advice, but remember that finally, it’s your selection. All your portfolio shots should be high-quality, stunning and stand-out images that make a great first impression. A printed portfolio still comes in handy if you are meeting someone (remember that you would be meeting a LOT of people). This gives the other person a tangible, real thing to go through while you are there with them. Typically, a printed portfolio is 8” x 10” size (other common sizes are 8.5 x 11, 9 x 12, 11 x 14), but preferences may vary depending on which city you are in. Make sure you have pristine, high-quality prints placed inside a high-quality portfolio book. Do not miss out on the small but important details. Print portfolios are great for face to face meetings, but you cannot be present everywhere. Chances are that most agencies and clients will end up seeing your portfolio online. This is where your portfolio website comes in. Make sure that you choose the right platform your portfolio website that lets you achieve the unique style that best represents your personality. Your modeling portfolio website needs to be not just stunning but functional as well. Have a look at 15 stunning portfolio websites for models. Has a minimal, clean and modern design that focuses on showcasing your portfolio in the best way possible. Showcases your images in beautiful grids for a quick overview but also enables viewers to enlarge images to have a closer look. Includes a stats page as agencies and clients would need that information. Includes an “About Me” page and tell about yourself, who you are as a person, your achievements and story. If you have videos and commercials, do include them on your website. Have clear contact information, make it easy for people to reach you. Your modeling portfolio website is going to represent to in front of agencies and clients and needs to make a great impression of you. 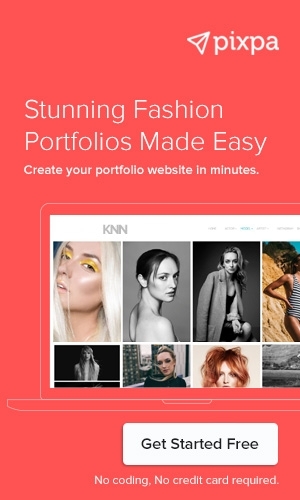 Pixpa enables models to easily create and manage a stunning modeling portfolio website. Try it out with a 15-day free trial. Now, it should be your biggest priority to get your modelling portfolio in front of the right agencies and clients. It's definitely much easier with an online modeling portfolio website – wherein you can share the link to your portfolio website with anyone. You also need to start using social media – Instagram, Twitter, Facebook to get spotted. Also, create your profile on websites such as Model Mayhem, Fashion Model Directory, One Model Place – these can also get you the right exposure. Having a great modeling portfolio is a force multiplier and increases your chances of getting the breaks you need. However, there is much more than you need to do as a model to ensure a long, successful model. Have a look at our top tips to be successful as a model. Need any help in setting up your website, just write to us at support@pixpa.com and our website experts will assist you in creating a great online modeling portfolio website for you.